•	We addressed communities’ immediate needs with distribution of water, food and clothing. •	In collaboration with the Canadian Embassy, the JDC and with generous donor support, we distributed over 3,000 back-to-school kits which included school books grades 1-6, school material and classroom supplies. •	With the support of Digicel Foundation we were able to develop a module for post trauma intervention which addresses post disaster trauma in affected communities. •	With the support of the Coca Cola Foundation , we are currently using out trauma modules to give 496 educators the skills address issues related to post and on-going trauma. 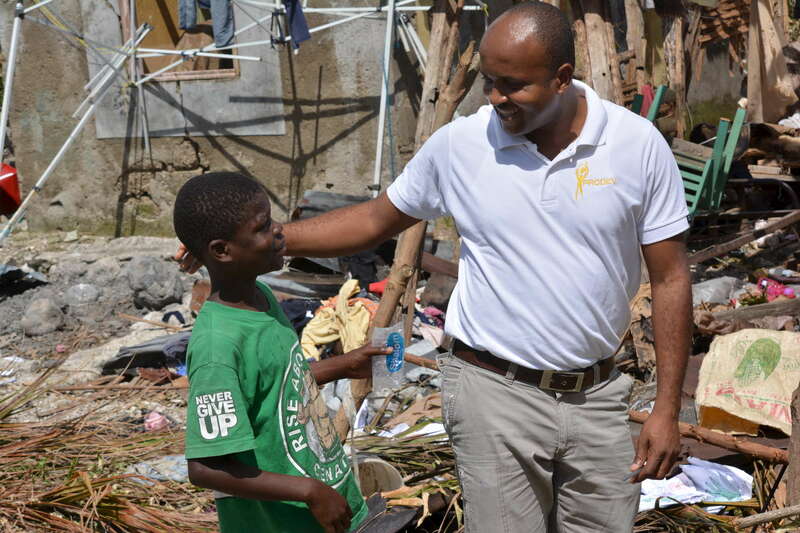 PRODEV's post hurricane teacher training program will impact 11,160 children from the South ,Grand’Anse and Nippes.